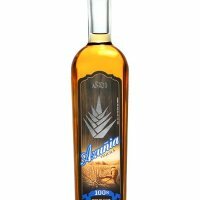 Austin, TX – Republic Tequila, an ultra-premium, 100% blue agave, certified organic tequila arrived in Colorado in late January. Republic launched in Texas in 2009 and has already garnered impressive reviews, including a prestigious Platinum SIP award. “One thing for sure, Texans love Colorado. We love the skiing, the natural beauty, the cities and the people. So it is only natural that we would share Republic Tequila with our friends in Colorado… our first state for expansion,” said Tom Nall, CEO and Founder of Republic Tequila. Republic Tequila is handcrafted from estate grown blue agave at the La Quemada distillery, one of Mexico’s only certified organic distilleries. The distillery uses an age-old distillation process that includes no foreign yeasts or chemicals. This process also includes letting the tequila rest and aerate before it is bottled, which produces a purer, smoother spirit making it ideal for any type of cocktail and sipping. Republic Tequila is available in three styles: Plata, Reposado, and Añejo. Republic’s Plata is bottled after a short resting period. Republic’s Reposado is aged in charred American oak barrels for 8 months, and Republic’s Añejo is aged for 20 months. The aging process produces more full-bodied tequilas, which are ideal for sipping. “Because of the time and care La Quemada takes during the distillation process, Republic tequila has an exceptionally smooth taste profile, making it extremely mixable in all types of cocktails,” said Ken MacKenzie. Ken recommends trying Republic Plata in any cocktail where you would typically use vodka or rum. Republic Tequila will be available for sale in bars, restaurants, and liquor stores in Denver, Boulder and Fort Collins in late January. Republic Tequila is proudly imported by Momentum Brands International, an Austin, Texas based company and distributed by Republic National Distributing Company.